Its been a while since I have hosted a giveaway of my favs. Although the weather is not cooperating, spring has officially sprung and Shampure is the perfect scent for the warmer days to come. With 25 pure flower and plant essences including certified organic lavender, petitgrain and ylang ylang, there is nothing quite like the aromatic smell of Shampure. As always, Aveda remains on of my favorite brands because of their commitment to natural ingredients and cruelty free products. (1) Shampure Shampoo: A gentle shampoo—with morikue™ protein from the Peruvian rain forest. Great for all hair types, plus your shower will smell amazing afterwards! (1) Shampure Pure-fume Mist: Spray in your living area to bring the Shampure scent to your entire home. (1) Shampure Composition Oil: This multi functional oil can be used in the bath, on your body or on your scalp. Bonus! (1) Texture Tonic: Create beachy waves, enhance texture, or add grit and light hold to fine, silky, hard-to-style hair. 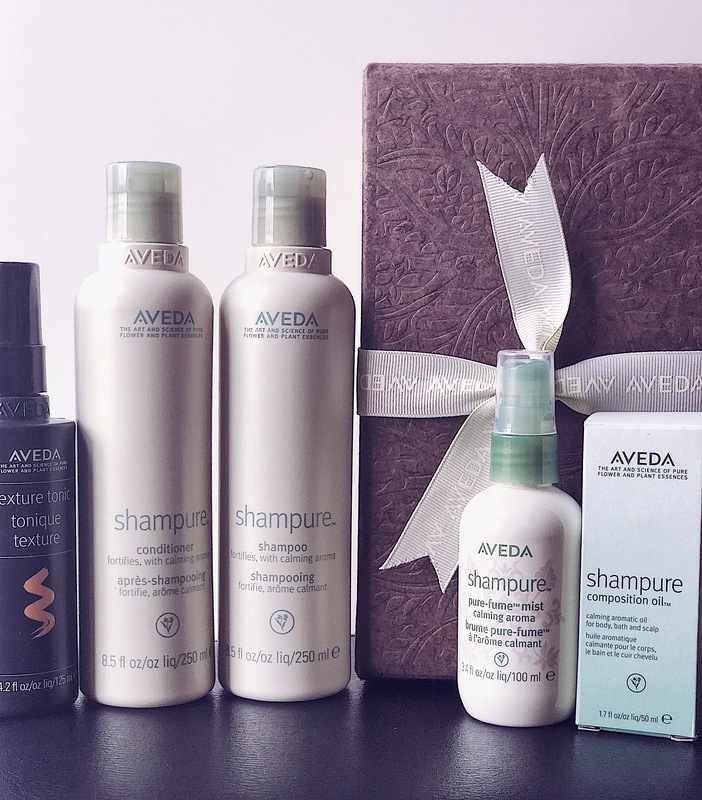 Of course it also has Aveda’s own pure-fume™ aroma with certified organic ginger, ylang ylang, clary sage and other pure flower and plant essences.